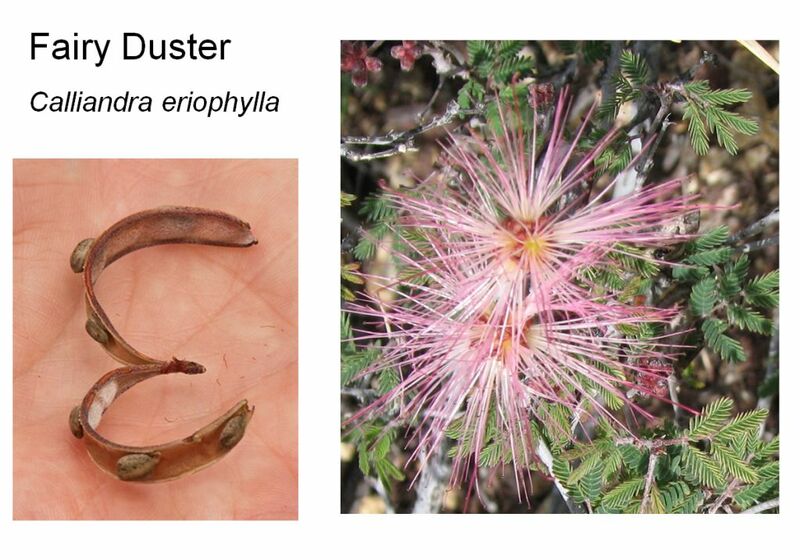 Fairy Duster has the typical pea-pattern foliage and the pea-pod fruit. Both species of Lupine have the pea flower and fruit (but not the foliage). 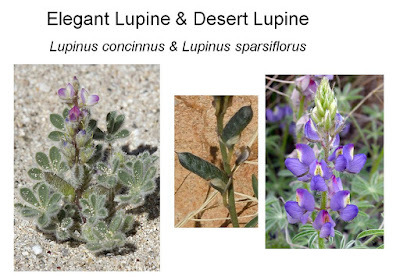 Elegant Lupine prefers the sandy soil in the dam area; Desert Lupine generally grows taller.